My mom decided not to join the tour group organized for overseas Chinese and instead to go with the flow. Today, the flow (my aunt, no pun intended) brought us to a hot springs resort in Dongpu. 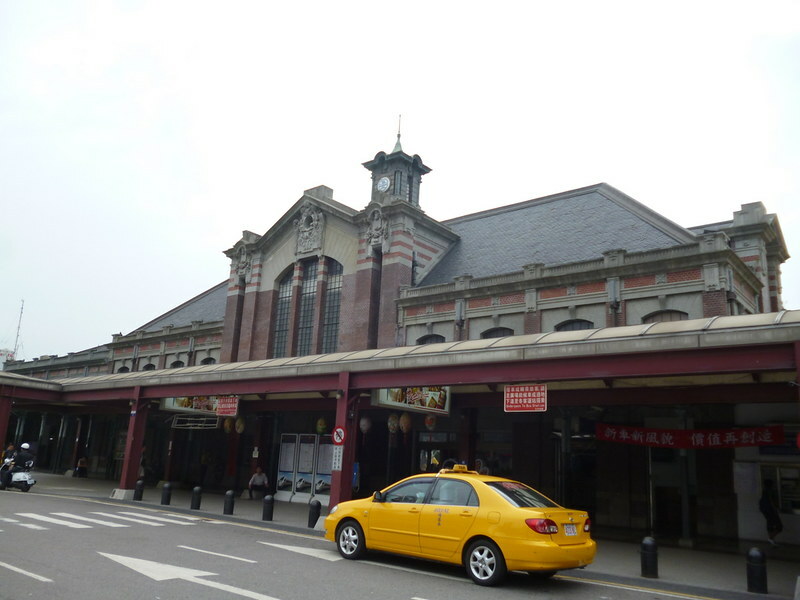 We met up with my aunt’s high school classmate at Taichung train station. The train station is a beautiful colonial building and its internal structure reminded me very much of the train stations in Japan. The train rolled through the Taiwanese country side, bringing us visions of rice fields, tall betel nut trees, mountains and one scene of hundreds of ducks. I thought the countryside looked a bit like ours back home in Sabah with betel nut trees swapped with coconut trees. 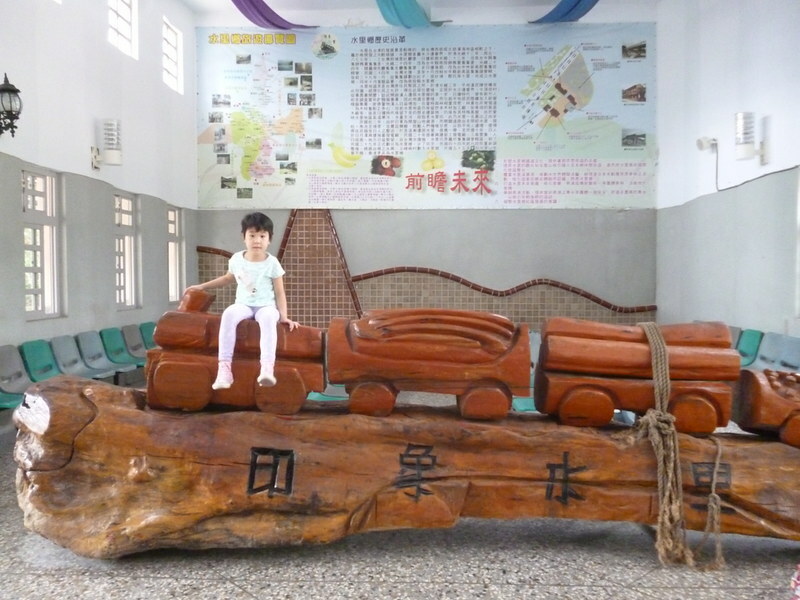 Our final destination was Dongpu (东埔) so we stopped at Shuili (水里) for the 1pm bus. We walked on the narrow streets and had an early lunch before having an ice cream. Then we headed to the bus station. When the bus came at 1pm, we queued to get on. Strangely, the bus queue stopped moving so we thought that the old lady in front was holding up the queue. Suddenly, the bus driver got out of the bus and went into the office. He brought out one of the station employees, saying, “A passenger said he wants to ‘fix’ me!” He got back on the bus with the lady in tow and shouted for the man to reveal himself. We eventually got on the bus but the driver was still having his one-sided shouting match. He threw a tantrum and said that he dared not drive since the man would beat him up. An old lady with snowy white hair kept apologizing on behalf of her 50-year-old son. From her pleas, we learned that the son had mental problems and was angry when the driver required his mother to show him her senior citizen pass. Some of the passengers also tried to calm the driver down, saying that the passenger’s mom had already apologized and the driver should forgive and forget. Still, the driver did not budge. The driver turned on the engine and cool air rushed out of the vents. My mom clapped once. Upon hearing the clap, the officer asked everyone to clap for the driver. We all did clap and cheered. The police then heard both sides of the stories. In the end, he gave the driver a choice of filing a report or suing the passenger. The driver probably chose the former. Finally, the drive started. Even though Google Maps said it would take 24 minutes to reach Dongpu, the bus stopped multiple times so it took about an hour to reach our destination. Our room was on the lower floor of a wooden structure. 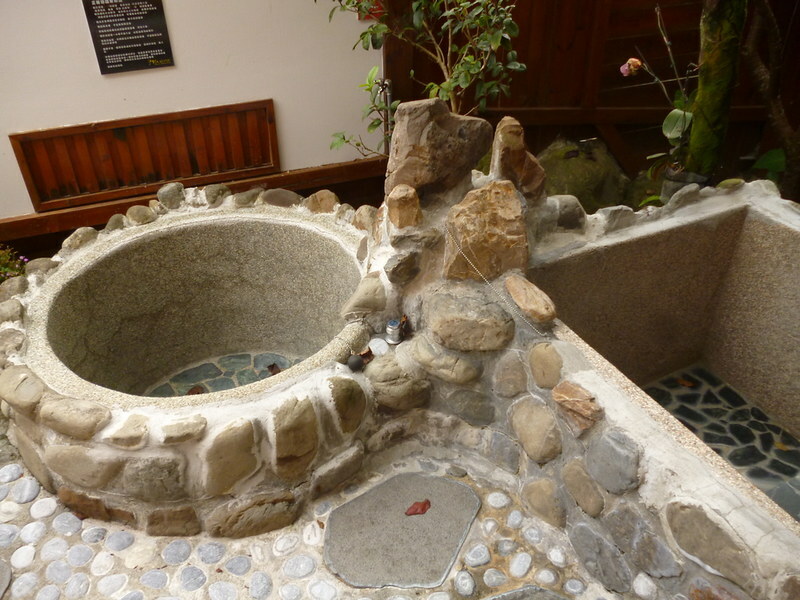 Behind, there were two small pools, one for hot spring water and the other for cold water. 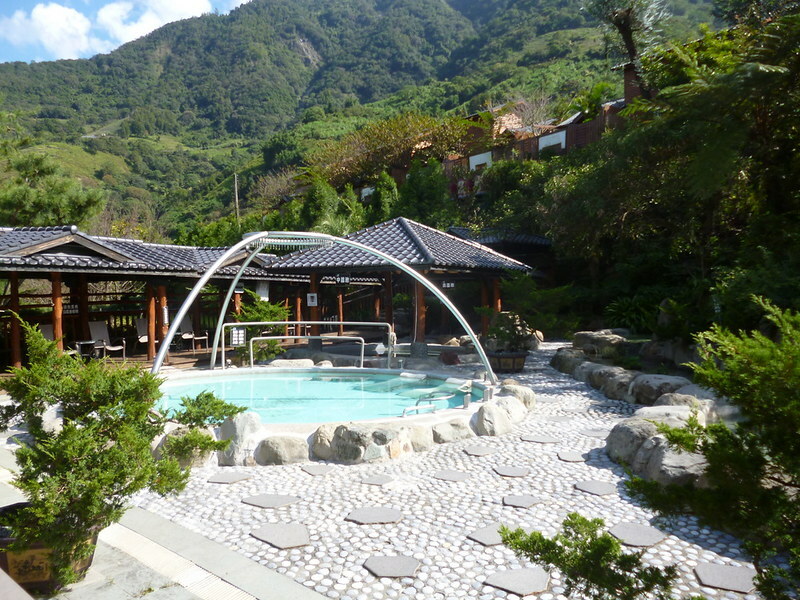 The Taiwanese also inherited a love for soaking in hot springs from the Japanese. Taiwan’s mountains are filled with these mineral-laden hot water so it makes perfect sense to cultivate such a tradition. We didn’t do much in the resort. We watched TV, took turns in pair to soak in the little tubs and had dinner. Then I went to the open air pools with my aunt’s friend where we soaked in 40 degrees Celcius hot spring water. Hi, we are trying to find the resort you stayed in Dongpu. Can you send us the name of it? Thanks!